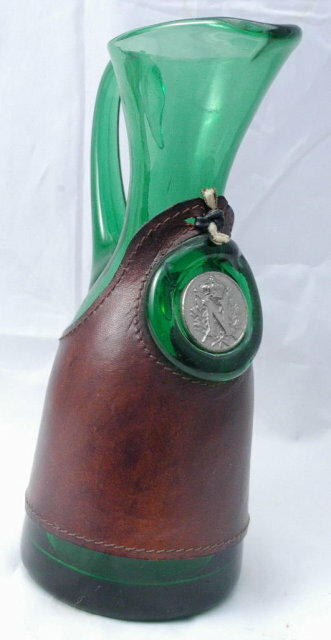 Italian Hand Blown Green Glass Pitcher with Leather Wrap. 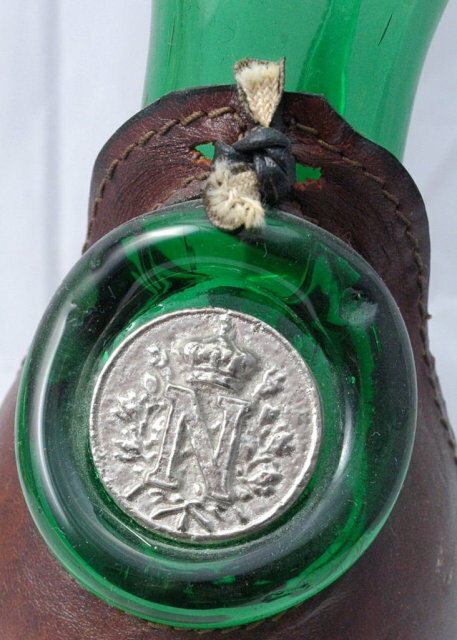 Plus it has a Silver Coin or medallion with a raised "N" topped by a crown. There is a paper label on the bottom marked "Made in Italy". It is nice heavy piece. I assume it is for serving wine but it could be used for anything. 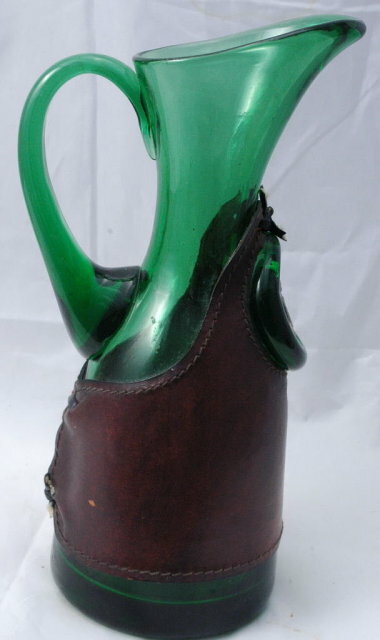 Items Similar To "Italian Hand Blown Green Glass Pitcher with Leather Wrap & Si..."